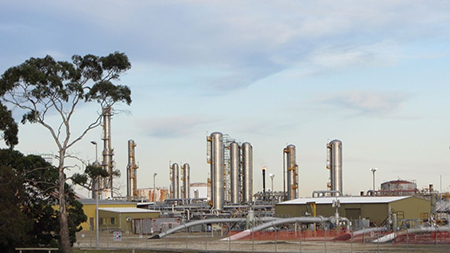 AIR ENERGY have extensive industry experience spanning over 88 years of combined development and more than 2000 satisfied clients, Air Energy have the breadth of industry knowledge to assist you in your project. 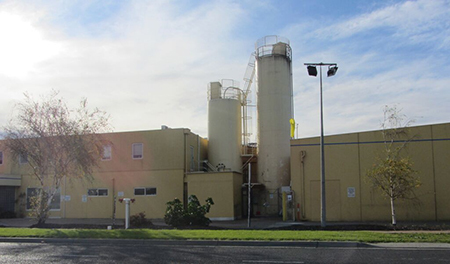 This major Food processor uses Europress stainless steel pipework from AIR ENERGY extensively in their modern plant, employing over 250 staff. 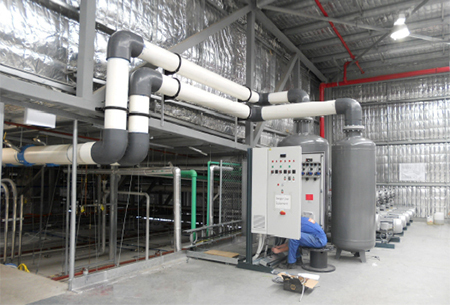 Air Energy supply or install for the Gas Industry. 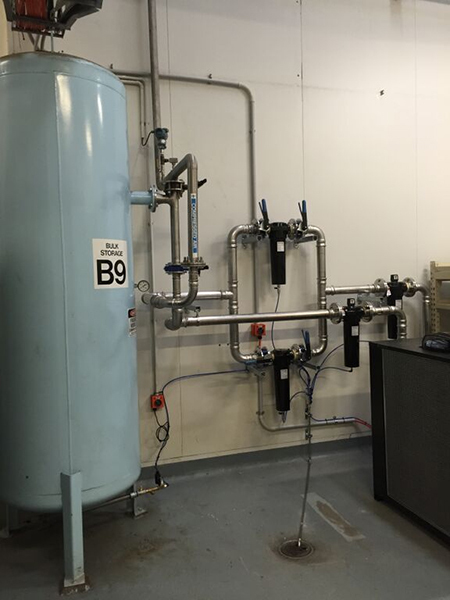 This key plant used Air Energy Europress for a compressed air installation, fittings are also tested and approved for gas. 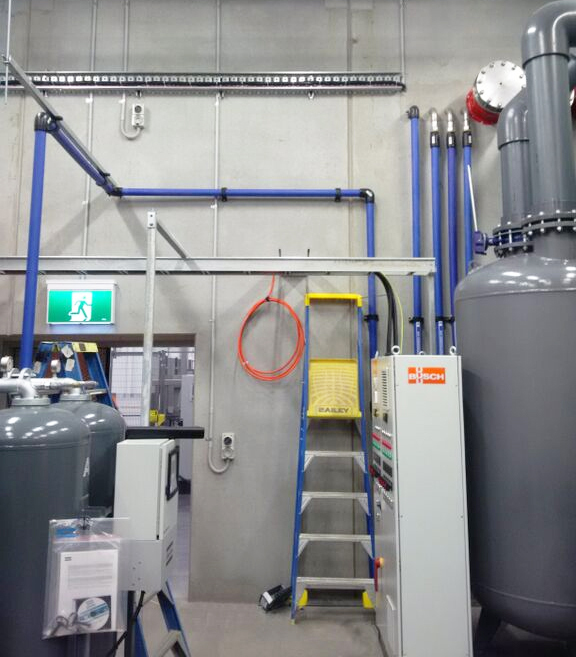 The Air Compressor filters at this major Milk producer are set up to provide 100% protection even when on bypass, for maximum protection. 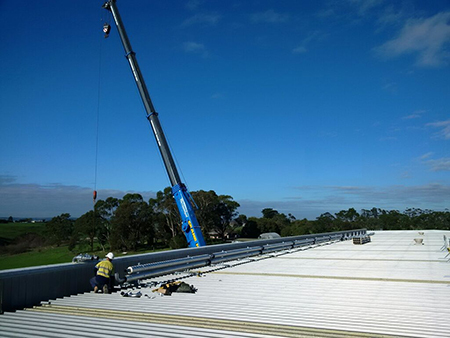 Installing insulated Stainless steel pipework at a new large Milk processing plant. 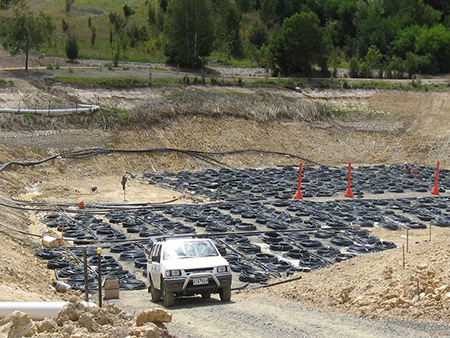 Another project delivered on time and on budget. 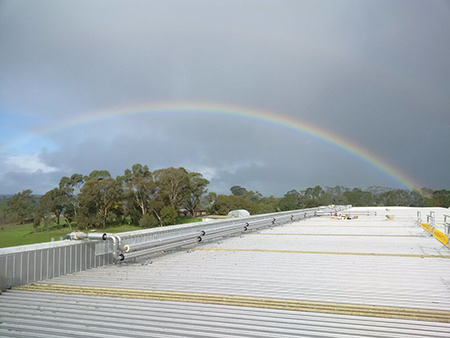 Even when the sun is not shining, this job was blessed with a rainbow! 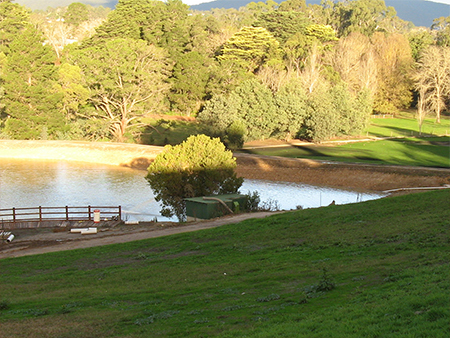 This interesting trio of photos shows the stages of installing several kilometres of polypipe in the bottom of a reservoir which acts as a heat sink in summer for the cooling, but just as importantly a source of heat for the nearby RACV Healesville Country Club resort during the colder months. 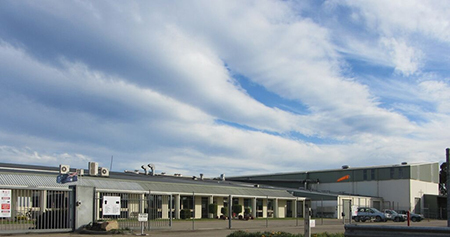 This iconic producer of frozen food uses maXair and Europress for their manufacturing plant-the largest manufacturer of meat pies in Australia employing over 500 people. 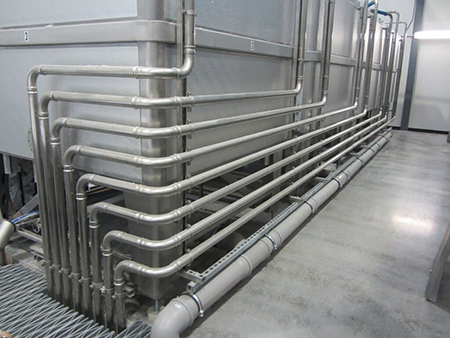 Air Energy supplied and installed the stainless steel pipework for this important Hospital Laundry. 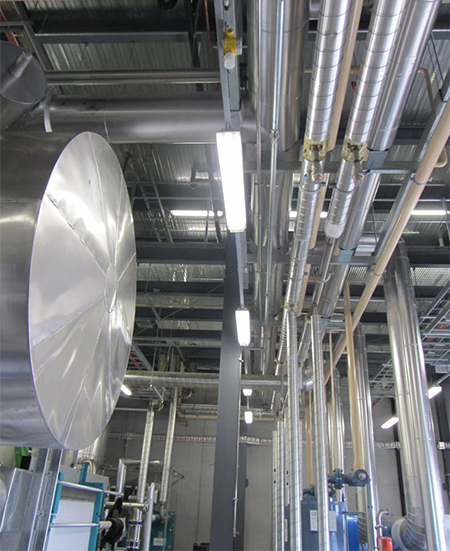 Air Energy have established a very close working relationship with this leading Biotech company, designing, supplying and installing pipework in this critical cleanroom manufacturing industry. 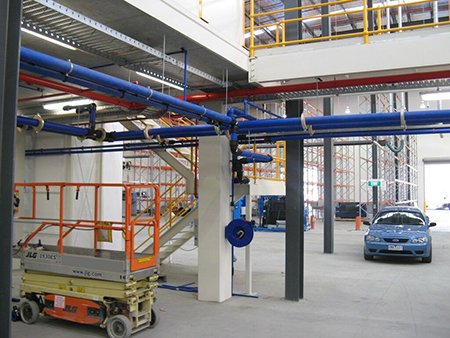 This major Paint manufacturer chose Air Energy to supply and install the specialist pipework for Compressed Air , Clean water, Recirculating water flow & return, Waste water etc. 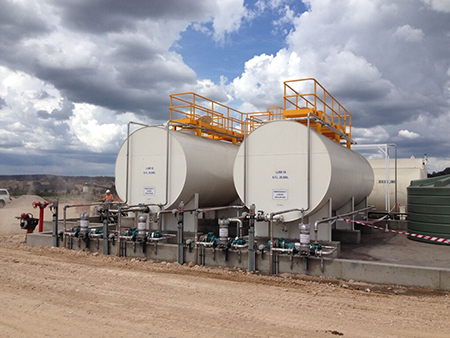 Europress Stainless steel was the best solution for piping Diesel oil and lubrication oils in the harsh and remote environment of the outback. 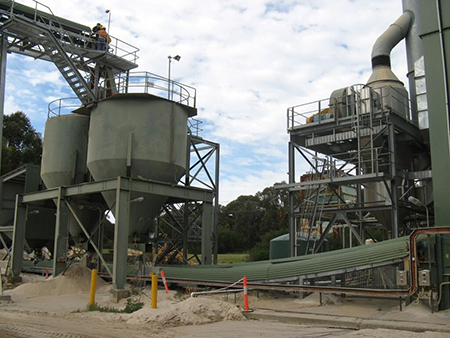 Air Energy have experience at Iron ore, limestone, sand and crushed rock Quarries, supplying pipework to withstand this rugged environment. 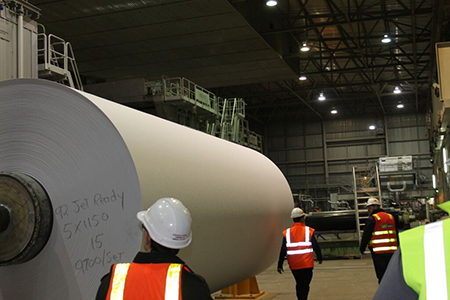 Air Energy worked closely with the Engineers advising, designing and supplying stainless steel press fittings and pipework for the plant contractors at this huge Paper mill. 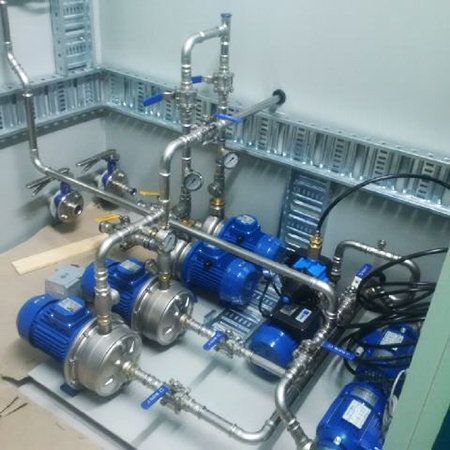 Europress stainless steel was the product of choice for its fast installation and superior corrosion resistance. 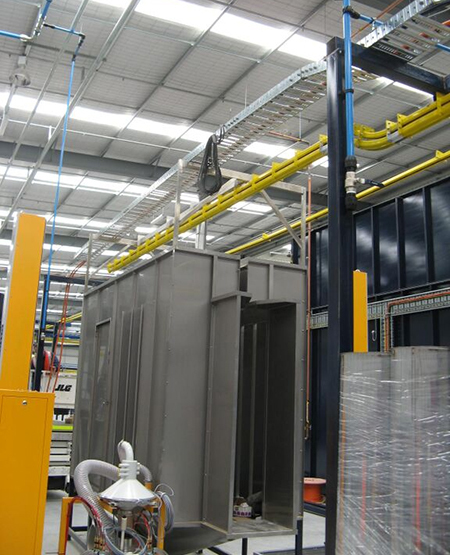 Clean dry air is essential for production line powder coating so there are no rejects or failures. 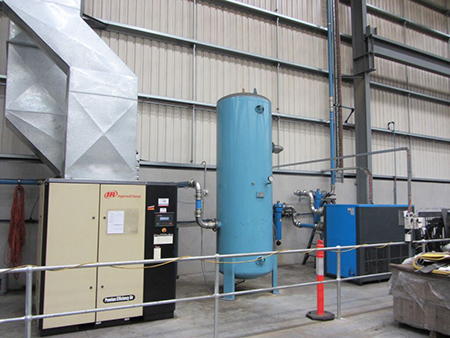 Air Energy expertise was drawn on to supply compressed air coordinated with all services as part of this important production facility. 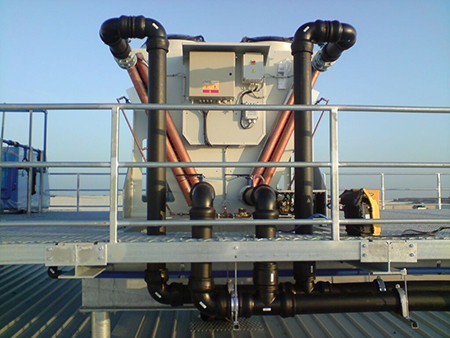 Air Energy are experienced at working to tight schedules, here for the relocation and modernisation of this Auto component manufacturer. 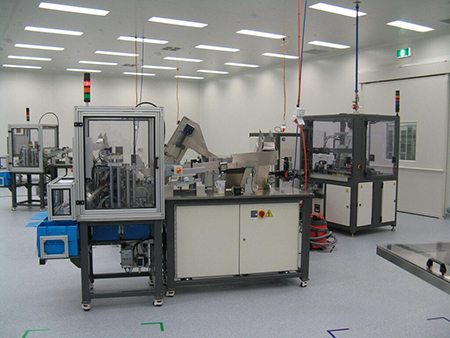 This brand new Meat processing works utilised Europress stainless steel for fast, economic and reliable installation. 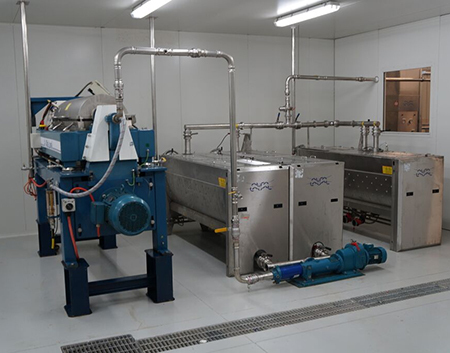 Europress stainless steel is ideal for the hygienic needs of wineries or olive oil production. 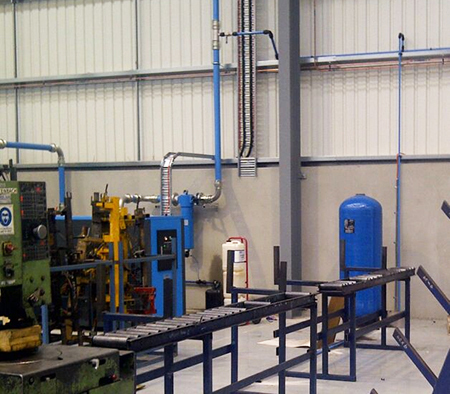 Need the dependability and ease of installation of the Europress stainless steel pressfit system. 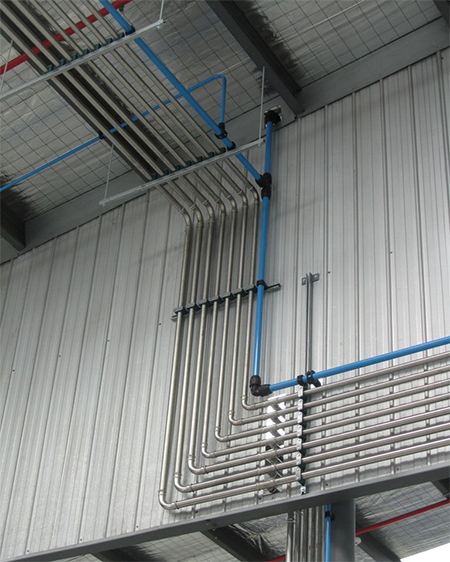 Air Energy can advise and supply a wide range of specialist pipe systems. 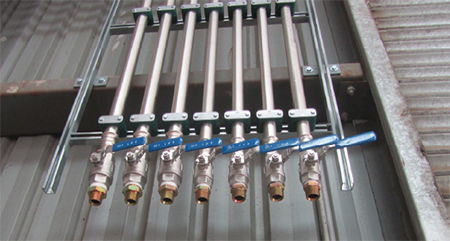 Here ABS PE and Stainless steel are all used each for specific applications. 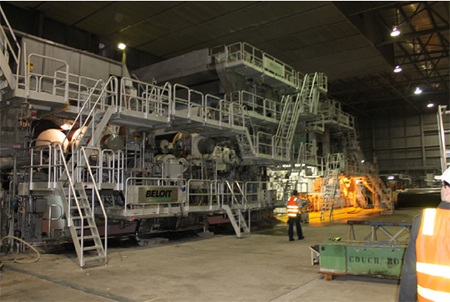 Using Europress has real advantages in installing multiple lines for lubricants, compressed air or waste oil pipes. 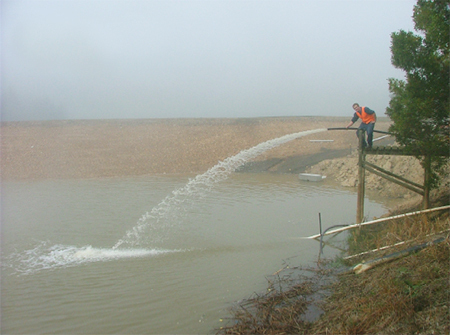 Efficient Easy and Effortless and a perfect finish. 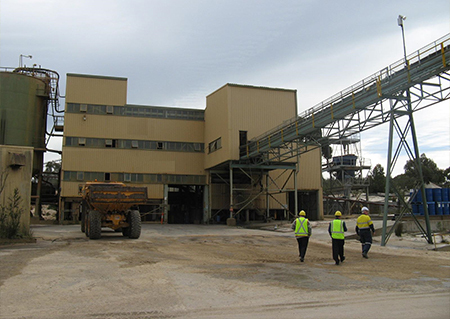 No naked flames either! 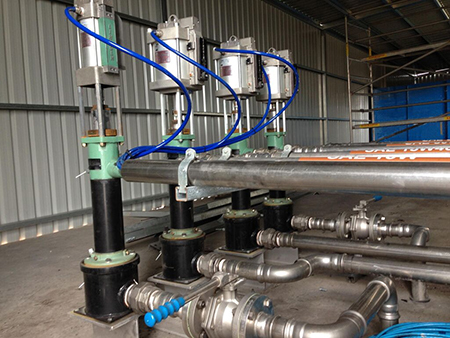 Air Energy understand and can advise on the best energy efficient options to suit your plant. 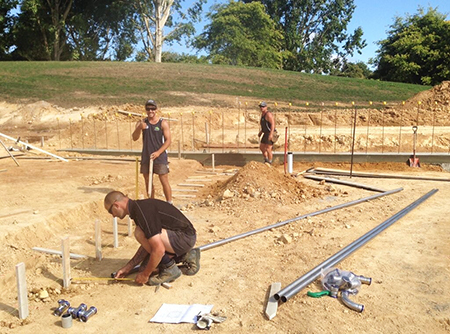 These first time installers give the ‘Thumbs-up’ at the fast and effortless experience of using Europress pressfit stainless steel on this building site.